Recreational vehicle parks are an increasingly important part of the hospitality industry. They offer accommodation to a constantly increasing segment of society that own or rent RVs for leisure or use them for business. Transit RV parks that offer a convenient overnight stop are typically located close to highways; destination RV parks cater to tourists visiting vacation attractions and usually provide accommodation for a few nights; and residential RV parks that cater to retirees and snowbirds offer monthly and six-month contracts. 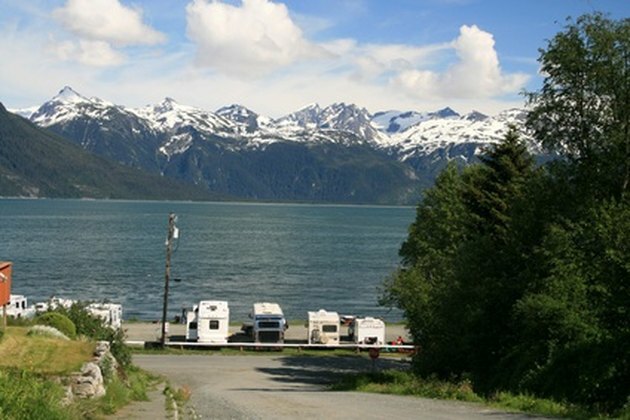 Almost all RV parks offer at least a basic standard of provision to each vehicle location, properly called a slip, which comprises water and electricity supplies and sewage outflow. Laying down these services is a complicated and expensive process. Laying out the utilities for an RV park is a complex project. Install a hook-up post, properly called a pedestal, at every slip to provide electricity. Pedestals are manufactured with integral 50-, 30- and 20-amp outlets, all protected by their own inline circuit breakers, and some feature usage meters and a pedestal light to make hooking up easier after dark. The supply to each pedestal must be adequate to meet the peak amperage and usage demand anticipated from the slip, and the distribution board must be adequate to meet the peak demand anticipated from maximum slip occupation. Install a separate post with a securely mounted water supply tap. Ensure your water connections are matched to industry-standard hose ends; RV city water hoses typically end in male-threaded connectors, so your supply tap should have a female-threaded end. Consult your local code enforcement office to learn what materials must be used to supply water to the tap; conventionally PVC pipe is used to avoid contamination of the water and any unpleasant taste, although the riser from ground level to the tap should be metal. If your water will be supplied by a city utility, ensure the available pressure will be adequate to supply all slips at maximum occupancy; if supplied by a well, be sure the pump pressure is adequate and the water standards meet or exceed all applicable regulations. Consider six-inch cast iron, vitrified clay and PVC alternatives as pipe material. If your RV park is in a rural area, bear in mind that tree roots will easily destroy vitrified clay pipe. If the park is near the ocean, pipes running through sandy soil will need to be reinforced with clay or topsoil in the trench. Avoid sharp turns and angles, and instead run the pipes in long, sweeping curves. Pitch should typically be a fall of one quarter inch per linear foot of pipe. Many municipalities insist that only licensed professionals make connections into their sewers; even if amateur installation is allowed, it will almost certainly have to be made under the supervision of a code enforcement officer. This may apply equally if connecting to your own septic system or sewerage treatment facility. The sewer connection pads that RVers connect to with their hoses are conventionally concreted into place. Dig a single trench to lay the water, sewer and electric utilities to each slip. Observe all local regulations mandating the space necessary between runs and the insulation and protective shielding required around each run. Trench deep enough to be below the frost level. Keep a precise map of the RV park showing all runs so that future works will not accidentally disturb or damage your water, electric and sewer utilities, and mark the locations of above-ground runs with signage warning of the presence of overhead wires or pipes. How Deep Should You Bury Water Pipes?